This is your chance to see Julie Cope’s Grand Tour, one of the most anticipated exhibitions of the summer, before it opens to the public. 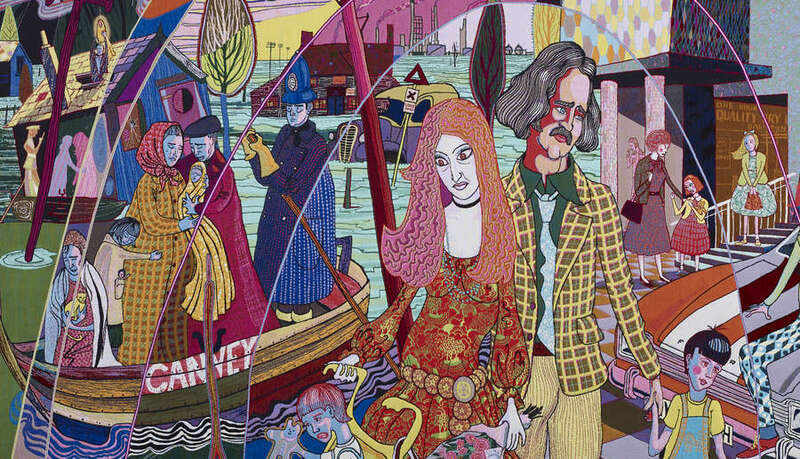 Featuring incredible tapestries that illustrate the life of a fictional every-woman, the exhibition also explores A House for Essex designed by Perry with FAT Architecture. There is also an opportunity to listen to Perry’s recorded ‘Ballad of Julie Cope’ which retells in the artist’s own words of ‘the trials, tribulations, celebrations and mistakes of an average life’.